In this Oct. 4, 2018, file photo, caution tape closes off an entrance to the beach due to red tide affecting coastal areas in Lake Worth, Florida. Florida's coastal waters appear free from a devastating red tide bloom that began in October 2017. A Florida Fish and Wildlife Conservation Commission report released Wednesday says the toxic algae were no longer present in water samples collected anywhere in the state. The bloom caused respiratory irritations in people and killed vast numbers of sea turtles, manatees, dolphins and fish. 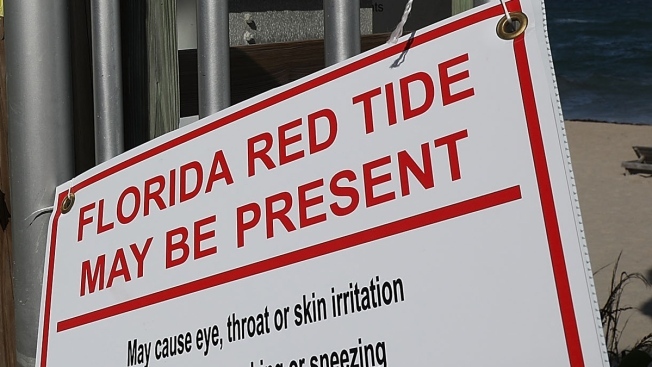 Red tide is caused by an organism called Karenia brevis, which occurs naturally in the waters off Florida. NBC 6's Erika Glover looks into a hurricane's impact on red tide. 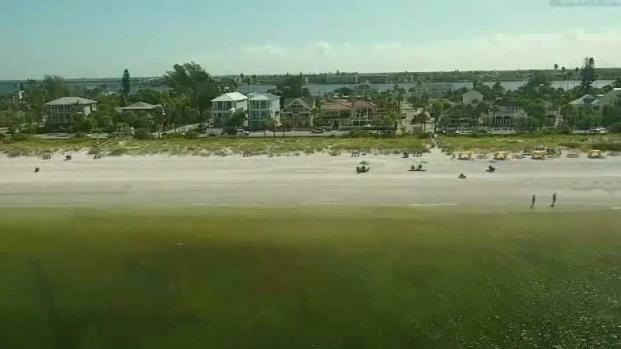 In a Herald-Tribune report, University of South Florida red tide expert Robert Weisberg said currents that swept the organisms up from deep offshore waters toward shore have stopped and there's no evidence more toxic algae is growing. Conservation groups are working with officials to replenish fish stocks decimated by the red tide.